The Kingwood Fillies aren’t just a National Champion Dance Team from Kingwood, TX. Their slogan is "…more than dance". The Fillies have proven the slogan to be true more than ever after Hurricane Harvey hit Houston and flood waters ravaged homes and their beloved Kingwood High School. The Fillies along with everyone else in town kicked it (no pun intended) into high gear and started helping strangers, friends and fellow Fillies remove debris from their homes so they can start to rebuild their lives. 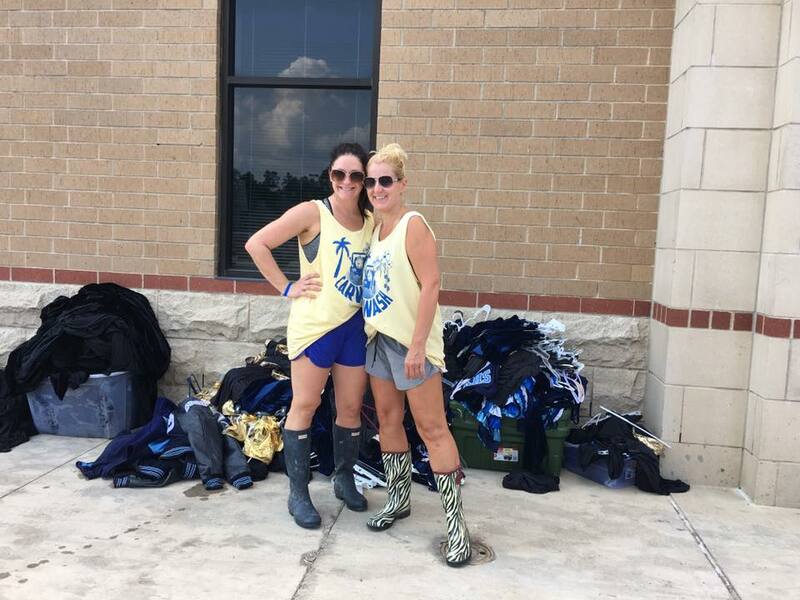 Because of the extensive flooding of the school, the Fillies lost their dance room, costumes, props, sound system and more – basically everything it takes to run a 21-Time National Champion Drill Team in the Great State of Texas. Our director, Andi Lewis, has been contacted by so many who want to help the Fillies so we set up a donation button above so you can help. Your generous gift will go directly to the Kingwood Fillies and Fillie families who were affected by the hurricane. We want to thank all the Fillie Alumni, dance teams and fans who have reached out to us to offer support.